I see the letters ‘A’, ‘M’, and ‘G’, and I make the plunge. 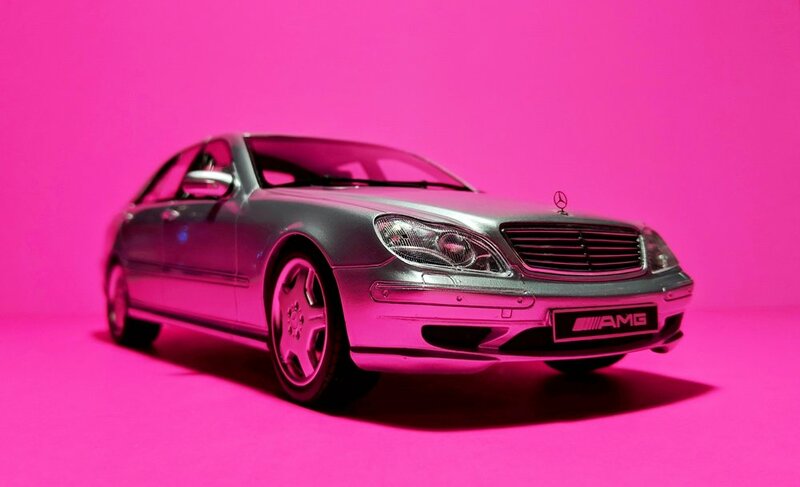 The latest from our favorite budget resin model maker is the Mercedes-Benz S55 AMG, yet another first in the 1:18 scale world. Based on the W220 platform, this executive luxury barge runs on a hand-built, naturally aspirated 5.4-liter V8 that gets this behemoth going in no time. And because power is nothing without control, the Affalterbach-based tuner also fitted the S-Klasse with larger tires and an active body control system that dynamically adapts and adjusts the car’s spring rates when cornering. As M-B’s flagship sedan at the time, this generation also introduced the much maligned, hate-it-or-love-it Airmatic air suspension. For those who have experienced ownership of a Benz product with this feature, you know how it goes. One day as you’re leaving for your weekend excursion, you walk into the garage only to find your car sagging in one (or more) corners, with a hefty repair bill slapped on the windshield. I mention that because it certainly looks like the system has gone haywire on this Otto. With the W220 being notoriously unreliable, one can vouch for the accuracy presented here. 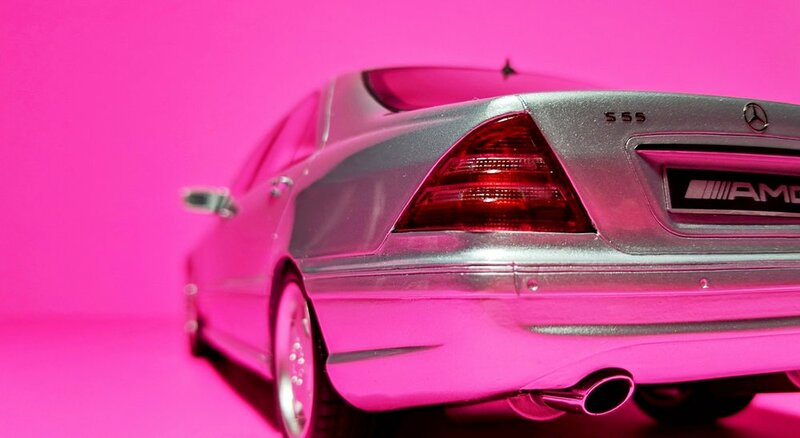 The wheels, in addition, are too large on this model to represent the 18-inch alloys on the real thing. The 5-spoke AMG deep dishes are an all-time classic design, but Otto didn’t get the shape right either - the same way they botched the shoes of the SL73. Another oddity is the placement (too close to center) of the ‘S55’ badge. This is an obvious one that they overlooked. On the inside, you’ll find a healthy dose of wood grain trim and a generous serving of printed dials for the troublesome infotainment system. Interiors are rarely a strong suit of resin models, but amid the sea of black, the wood adds some much-needed pop. Grilles up front are solid, as usual, but the hood is adorned with the always-classy three-pointed star - just be careful not to break it! The lights, front and rear, are all well-detailed, and the chrome exhaust puts the finishing touches on this Teutonic machine.